Amid Arsenal‘s latest run of poor form, their luck is set to go from bad to worse, as the squad has been hit with a midfield crisis ahead of their crucial tie against rivals Chelsea. 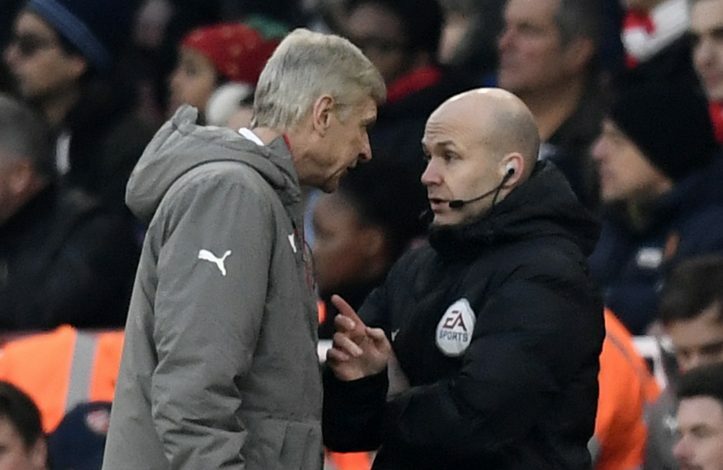 On Tuesday, Arsene Wenger’s men failed to beat Watford at home, succumbing to the Hornets 2-1 win, and thereby failing to push themselves in a better position in the Premier League table. Gunners’ goalkeeper Petr Cech accurately described his team’s performance on the night, by stating: “I think we didn’t play well at all. We were second best in the first half. We made so many bad passes, we lost every challenge, we were simply second best. “I always say that at this level you cannot play 80 minutes, or 85. You have to play 90 minutes with full concentration and everybody on top of their game. But now, this setback is set to go from bad to worse, as Arsenal now face a shortage of central midfielders to field against league leaders Chelsea. With Aaron Ramsey’s recent calf injury and Granit Xhaka’s suspension adding to Mohamed Elneny being out on international duty – representing Egypt at the Africa Cup of Nations – and Santi Cazorla being ruled out due to long-term injury, Francis Coquelin remains the only recognized central midfielder available for selection this weekend. It, therefore, looks likely that Alex Oxlade-Chamberlain will yet again get a central midfield role at the Stamford Bridge come Saturday. This game remains a must-win for Arsenal, as a defeat will increase the gap between the Reds and Blues of London up to 12 points.